D.C. craft beer brewery Atlas Brew Works is suing the acting Attorney General Matthew Whitaker over their inability to sell a batch of beer due to the federal shutdown, a limitation that they claim violates their First Amendment right to free speech. On January 3, 2019, Atlas Brew Works brewed 40 barrels of a planned 100 barrel batch of a seasonal beer called “The Precious One” which was intended for consumption between February and April. According to federal law, Atlas needs government approval to label the kegs in order to ship and sell them outside of D.C., but the Alcohol and Tobacco Tax and Trade Bureau (TTB) which would approve the label is closed due to the shutdown. If Atlas were to distribute the kegs outside of D.C. without the Certificate of Label Approval from the TTB, it would violate the Federal Alcohol Administration Act, subjecting the brewery to criminal penalties. The TTB had approved beer can labels for The Precious One prior to the shutdown, but the application for the keg labels, known as “keg collars,” was still pending approval. The beer is now sitting in tanks and is perishable after 120 days. Atlas estimates that it will lose $5,000 on the initial 40 barrel batch, and $15,000 on the entire 100 barrel run. 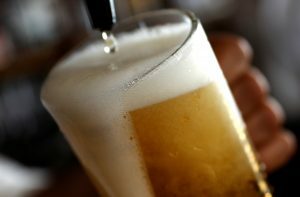 “Because, as a matter of law, no mechanism exists by which brewers might obtain a Certificate of Label Approval for their beer, criminalizing the publication of unapproved beer labels violates the First Amendment right of free speech on its face, as applied to Atlas Brew Works’s labels,” the brewery and its lawyer argued in the lawsuit. They also reason that despite the shutdown implications, the label approval requirement is still a content-based prior restraint on speech because it “violates Atlas’s First Amendment right to publish its beer labels, and the First Amendment right of Atlas’s customers and consumers’ right to receive the labels,” according to the lawsuit. Atlas is asking the court to issue a temporary restraining order and preliminary and permanent injunction to prevent Whitaker and the government from prohibiting them from bottling and distributing The Precious One in kegs without the label approval. The suit cites several other cases where beer labels were determined to be a form of free speech, but in those cases the issue at hand was the content of the label, not the ability to produce them.